Message from Management | About Us | TOSE CO., LTD.
TOSE supports the future of digital entertainment on a global scale by leveraging one of Japan's largest development structures, harnessing its know-how based on a wealth of development achievements and utilizing its wide network with its customers. Since its establishment in 1979, TOSE has provided a wide range of services. They include not only the planning, proposal and development of home video game software and content for mobile phones but also the planning, development and operation of network-based content such as home karaoke music distribution and digital comic distribution. 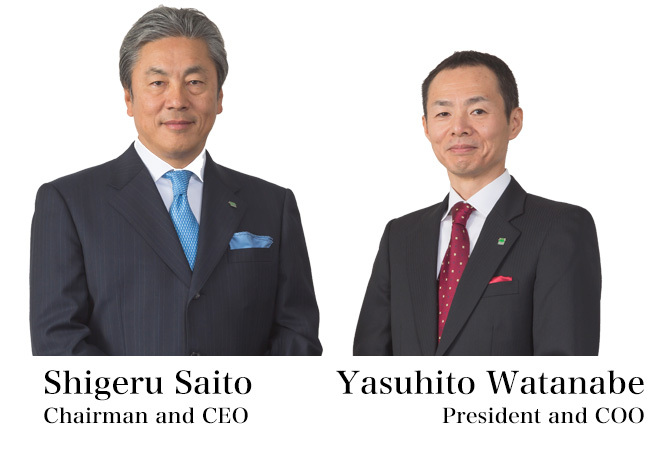 As one of Japan's largest independent, proposal-oriented commissioned developers, TOSE's foremost strengths are its proven track record and trust gained by providing support for the upstream development for customers in diverse fields that include game software publishers, mobile phone carriers and mobile content providers as well as publication and music content companies. To date, TOSE has been involved in the development of approximately 2,300 home video game software and mobile content titles. This figure is significant even among the world's leading commissioned developers of entertainment software. We apply an abundance of long-accumulated know-how not only in the creation of video game software but also in the development of content for diverse genres. In particular, we offer one-stop development services for sophisticated and rich content for various platforms, including home video game consoles and smartphones, earning high praise among numerous customers. Another major feature of TOSE is its involvement in the collaboration business, which brings together customers from different industries by taking advantage of its wide network with customers. In addition, TOSE has established a solid management foundation by consistently achieving profitable and debt-free operations and maintaining financial soundness since its founding. Another characteristic of TOSE is being a Kyoto company. Kyoto is filled with the spirit, skills and knowledge that nurture tradition. In keeping with its objective of becoming the top independent commissioned developer of game software and mobile content, TOSE will refine its spirit, skills and knowledge and continue to provide high-quality products and services to the world on a timely basis while setting its sights on the future of the digital entertainment industry. Moreover, TOSE emphasizes management based on corporate social responsibility (CSR). While undertaking all business activities with an acute awareness of being a good corporate citizen and fulfilling its responsibilities, TOSE will make further efforts to meet the expectations of its stakeholders.